Sony may finally be preparing to launch its successor to the PSP. NetherRealm Studios is apparently not the only company currently working with a PSP2. Sony may have sent out PSP2 development kits "across the industry" according to sources at Develop. While a developer or two working with the PSP2 to get a handle on it isn't necessarily that big of a deal, the entire industry working with it means that an announcement or launch is getting closer. 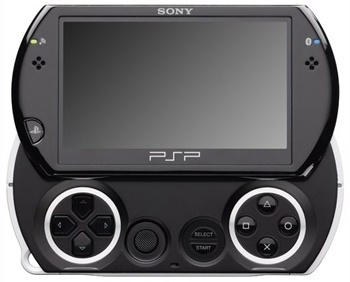 Though the digital-download only PSPgo was released in late 2009, few would say it was a true successor to the original PSP launched in Japan in late 2004. Develop sources are saying that Sony is preparing a "significant launch window line-up" by spreading the PSP2 love to developers across the world both third-party and first-party. Sony evidently wants to make a "big impact" when the new handheld is eventually released. Sadly, mum's still the word on the new capabilities of the PSP2. All we have to go on are rumors of a quad-core GPU and touchscreen on the back, with Sony having said the PSP2 won't use 3D. 3D nixing aside, the two rumors of the handheld's possible capabilities are very enticing, with NetherRealm also saying it is "pretty powerful." If Sony is going the power route for the PSP2 as it did with the PSP, which was compared to a handheld PS2 at launch, six years later it should end up with a very powerful machine indeed. Now that we know the PSP2 is real and in many developers' hands, it's only a matter of time before Sony pulls the trigger and actually tells us about it.